It's an eat-or-be-eaten world out there for animals, so each species must develop traits to help it survive. Here the author of Mustache Baby introduces readers 6 to 9 to the concepts of evolution, explaining how our view of it as a tree with branches doesn't quite square with the reality, in which animals who share key traits aren't always on the same family tree. 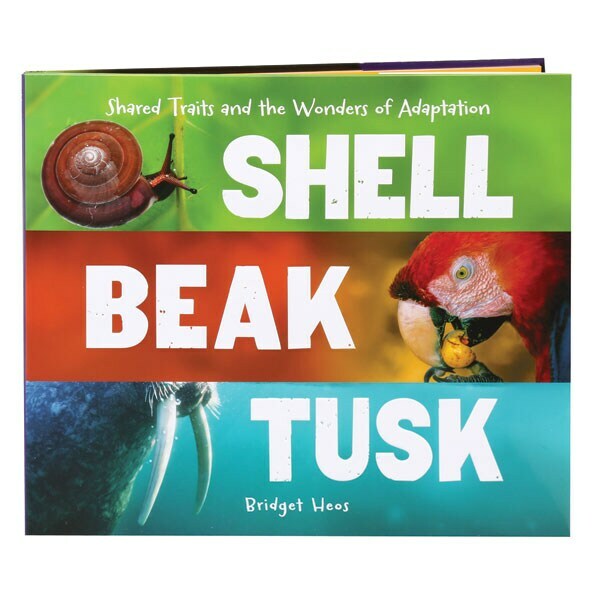 Shown in color photographs, here are porcupines and echidnas, parrots and octopi, rabbits and Australia's comical-looking bilbies, accompanied by Bridget Heos's clear and concise descriptions of various animals' amazing defenses.